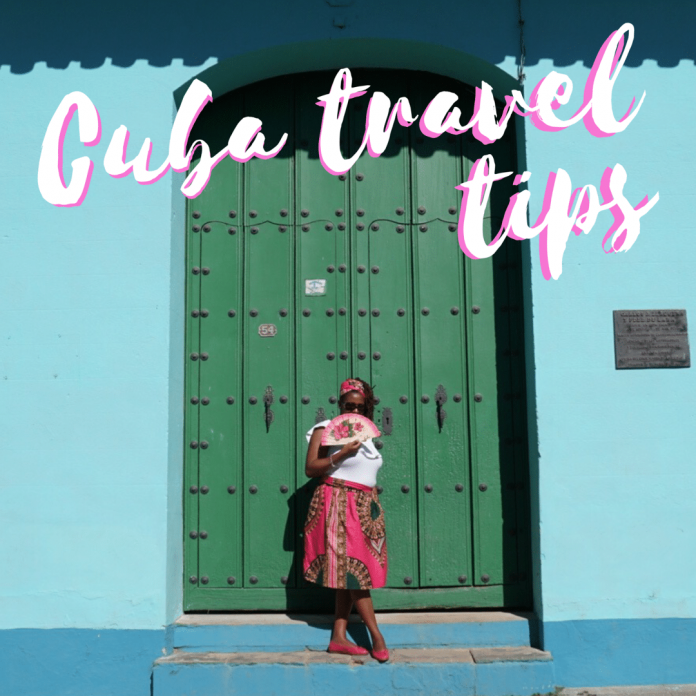 In this travel article, I share my experience visiting Cuba over the holidays and a few tips to help you kickstart your Cuban getaway. Often we want what we can’t have. It’s no different with the influx of travelers desiring to visit Cuba. Many for the first time. For me, having heard Cuba had the best beaches in the Caribbean sealed the deal. While I disagree, the experience was worth it. Purchasing airfare to Cuba is seamless. Many carriers now offer nonstop direct service into Havana. When I traveled in December, my flight cost $200 for a first-class round trip airfare on Delta Airlines. Plus, a $50 tour card which is the required visa. You can buy the visa directly from Delta by phone or at the gate. Delta plans to add more options via their mobile app in the future. Last I checked, JetBlue offered the tour card/visa at the gate only. I’m not sure about every airline so check with your carrier before you buy from a third-party online. Once your flight is secure, you need to buy trip and medical insurance. This is in addition to any medical coverage you already have. Don’t skimp on this step. It is rather inexpensive for trip insurance and medical insurance. If something happens to you on the road, you’ll wish you spent the extra $25-$50 on coverage. Plus, Cuba requires you to have evacuation coverage. Not sure where to buy travel and medical insurance? Check out Allianz or World Nomads. You should note, travelers diarrhea, Zika Virus, and Dengue Fever are all prevalent in Cuba. So, what’s this mean? Try your best to stay healthy on the road. Keep your hands clean, don’t drink the water (including brushing your teeth), and avoid undercooked food. Tip: Imodium, Pepto, and/or antibiotic is great to have on deck, if you can. Consult your medical professional for antibiotic if you go that route. 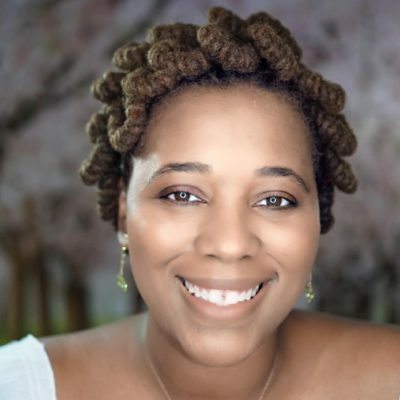 Recently, I caught up with the Center for Disease Control and Prevention (CDC) and they shared some very important tips travelers should consider when traveling abroad. Watch the video here (but finish reading this article first)! Shameless plug, yes. You need to know this before you actually book your flight. There are about 12 categories that allow you entry into Cuba. I’m not going to list them all here but the main reason you’re likely going is for people-to-people immersion experiences. In short, I know you’re going for tourism but you’ll need to align to one of these approved categories to enter the country AND document your activities to support your adventure in Cuba. Let’s take a moment to talk about what that means. Many people are tryin’ it and visiting Cuba and not necessarily following the rules. All I can say is make sure you have some legitimate immersion experiences in the event you have to provide documentation, at some point. And, why wouldn’t you want to fully immerse in the culture? Cuban culture is pretty awesome. That said, I’ve made a few recommendations on affordable immersion experiences you can enjoy in Cuba while also getting your tourism on. If your passport expires within six months, you need to get another one. If you already booked your trip and just realized your passport doesn’t have a six month window, you need to expedite your request for a new passport. Also, you need two full blank pages for entry/exit stamps. Make a copy of your passport. I prefer to keep a digital copy in my phone and a hard copy. It’s a great practice should your passport become misplaced, stolen, etc. If you manage to stop in Ft. Lauderdale, it is my understanding this airport is the only in the US with Cuban Convertible Pesos (CUC) at this time. This is the currency you need for Cuba. While you should do what’s best for you, I do not recommend converting your US dollars to Euros or another currency in advance only to convert again in Cuba. Depending on your circumstance, you could lose more by converting multiple times unless there’s a huge savings/difference in the exchange rates. Cuba applies a tax to your USD funds coming and going. So, whatever your budget is, multiply it by 30% to cover costs. Expect to pay 10-15% each way on USD. If you find that you’re at a disadvantage when it’s all said and done, then convert to whatever currency gives you more for your dollar beforehand. Of note, you cannot use the ATM in Cuba with your US credit cards unless they are from foreign banks. Don’t be confused about what this means. Your Santander bank account that you opened in New York is not going to work in Cuba. You need to have enough cash to cover the entirety of your trip. Also, stay in a safe place where you can lock your passport and cash. I do not recommend strolling around Cuba (or anywhere else) with all your cash and passport docs on you. There is some crime in Cuba (like everywhere else). While in Cuba, don’t carry your life savings in your pocket since it can be tough to access funds should you misplace your cash. 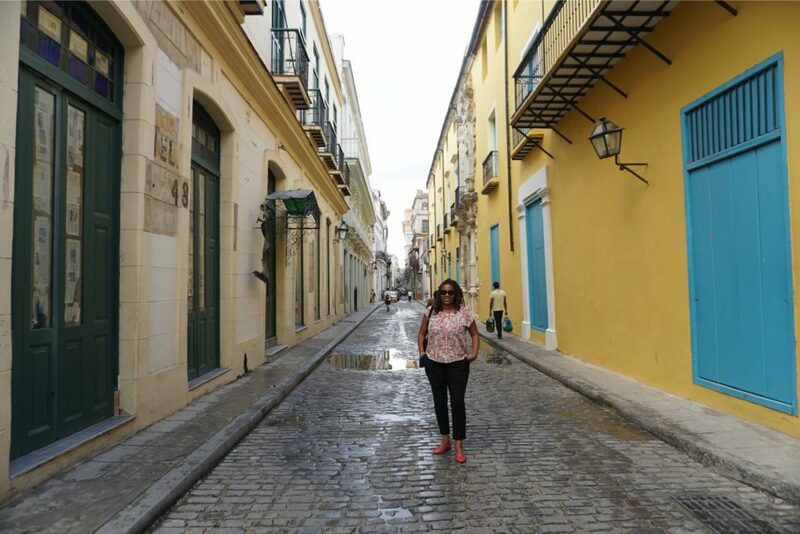 You’ve arrived in Cuba, now what? The lines to convert cash are usually long. It is possible to have the taxi driver take you to a bank en route to your hotel/casa if you want to skip the lines. Ask before you hop in the car. Also, WiFi in Cuba is spotty to say the least. My Verizon travel pass did not cover Cuba. Yes, the phone worked well but for a pretty penny. So, turn off your cellular data before you leave the states. When you land in Cuba and turn your phone off airplane mode you will likely incur high costs on incoming texts, messages, data, and calls in the short time it takes to switch roaming on/off. My recommendation is to carry your own personal hotspot separately. If you don’t have one, be sure to grab a ETECSA phone card in the airport so you can use the internet and place calls in Cuba. If you leave the airport and forget to pick up the ETECSA access cards, you can find them in convenience stores too. To qualify for people-to-people in Cuba, you need to do some things with the locals! Click To TweetSalsa, dance lessons, arts & museum tours, history tours, volunteer work (my favorite) all constitute as people-to-people immersion experiences. Guys, my new Cuban friend Meiby (pronounced maybe) offers a wonderful 3 day arts immersion experience. This is the best money you’ll spend in Cuba. 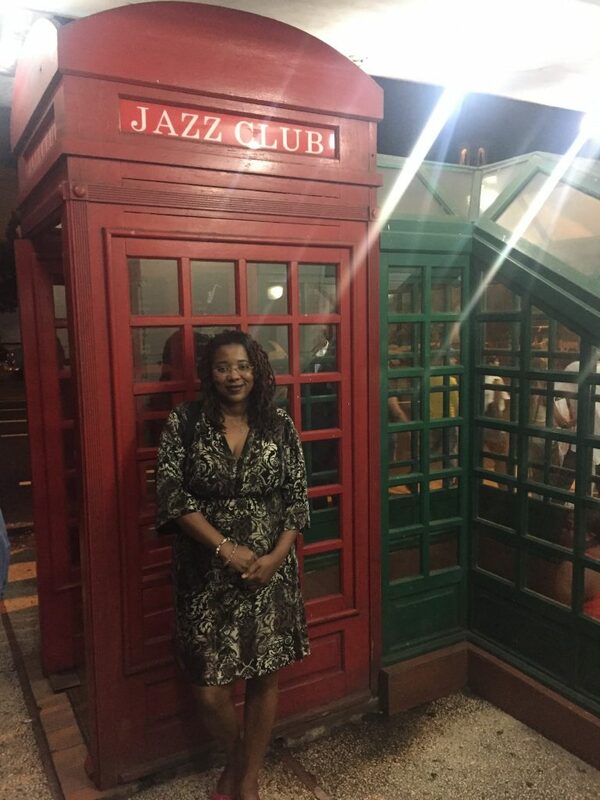 You get three nights out on the town hitting jazz clubs, eating, drinking, and partying on rooftops. Meiby is a singer and dancer in Cuba and knows everyone. Her friends are dance teachers and artists. So, let her know some of your interests and she will guide you to affordable experiences as well. Also, watch the fun I had during my Christmas trip to Cuba. Guys, the price dropped to $85 per person. Trust me, this is a bargain. It was $100 during my travels to Cuba. Throughly enjoyed my adventures with Cuban Trip Compass. If you’re interested in tours, email or call Alejandro. He’s great, professional, and flexible. They offer day tours of Habana and can also take you to the other cities in Cuba such as Trinidad, Cienfuegos, Mantanzas City, and Varadero should you decide to venture out. The tour guide and driver were professional and safe. I became fast friends with my tour guide. You can also pick an old American car to ride around in style. The options are endless. I like an authentic experience. 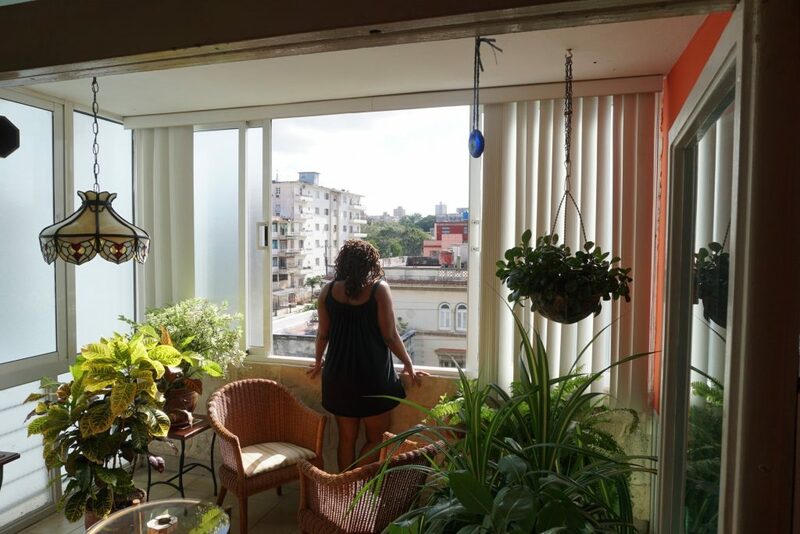 So, I stayed in Casa throughout Cuba some of which left a lasting impression. The pictures are spot on. They offer a free guide to help you get around Cuba. They helped with excursions too. Also, I stayed at Melia Varadero. A full review on this 5-star resort hotel is forthcoming. Don’t check that bag! Airport staff are extremely slow. It took more than 3 hours for bags to come off the flight. It doesn’t matter the time of day, number of flights, first class, no class, etc., there’s usually an absurd wait for checked luggage. If you don’t speak Spanish, download a translator. Knowing how to communicate, especially with taxi drivers is crucial. Download an option that works offline like Google or iTranslate. I prefer Google. You can converse even when you’re not connected to WiFi. Don’t buy cigars off the street. Scams take place with fake cigars. Tourism operators will take you to “government-run stores” to buy cigars. I found them overpriced. The cigars were often in plastic ziplock bags. Didn’t appreciate them being outside of the original packaging either. If you’re in Havana (which is really Habana), the Melia Cohiba has a great selection of affordably priced cigars in a variety of brands. Don’t change money on the street. If there’s a need, take condoms with you. You can get rum anywhere (including the airport on exit).They had a better selection than the government-run stores. Leaving Cuba, get to the airport early. This is not one of those times when you want to arrive at the airport late. Yes, they are slow. Yes, they have lots of delays and cancellations. And, yes the power goes out on a regular basis further causing delays at the airport. Don’t be alarmed if/when this happens. Play it safe and be on time but expect delays. Toilet paper. As a solo traveler, I always carry a roll or two when visiting third world countries as back-up. I didn’t have problems with toilet paper in Cuba but understand the struggle. I noticed many restaurants didn’t have toilet paper in the restroom. On that note, carry some hand wipes. If you need any other toiletries take them with you. Cuba isn’t a place where you want to search for something like this. If you take pictures of women on the street wearing colorful clothes or anyone playing instruments, they expect a donation. Some will chase you down for it too. Don’t ask how much, just give them fifty cents or a dollar and keep it moving. Do not bog yourself down with activities. Take your time and enjoy. Got questions about Cuba? Ask me anything!